New! 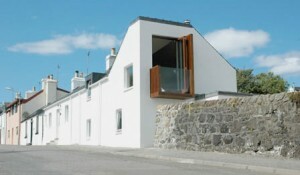 Terraced house situated in upper Tobermory, with views over the bay below. Two bedrooms sleeping 6. One en-suite. Lounge upstairs, sleeping downstairs. Wood burning stove and under floor heating downstairs. Garden & on street parking.